Little Ringed Plover, Charadrius dubius, Tuul River, Ulaanbaatar, Mongolia. Nikon D4, Nikkor 200-400mm lens, 1.4 teleconverter. 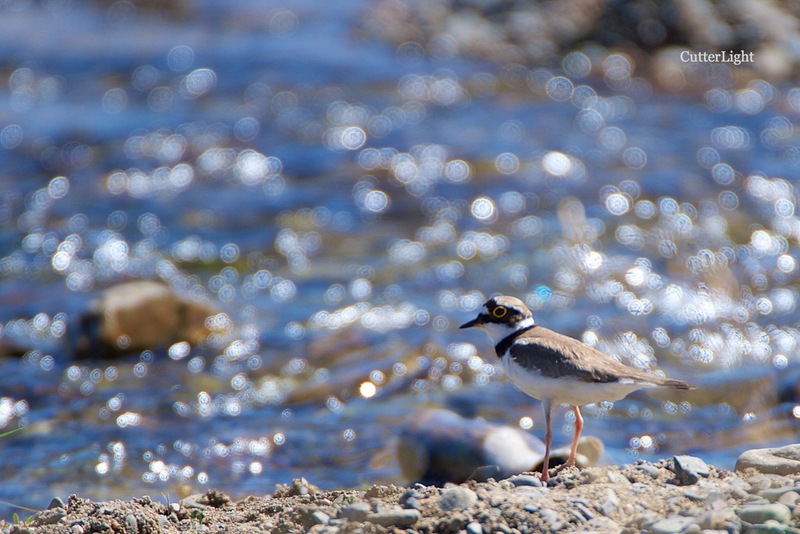 At about six inches (15 cm) from bill to tail and weighing just an ounce and a half or so (40 g), little ringed plovers are common along the Tuul River near Ulaanbaatar. Their small size, pale pink legs and bright yellow eye rings are diagnostic. These wary little birds seem to bob their heads and scurry back and forth along the shoreline constantly, hence the Latin “dubius” which means moving to and fro. They’re ground nesters. Among the shoreline rocks and pebbles, their light brown or grey speckled eggs are virtually invisible. As fall approaches, little ringed plovers migrate to Africa where they spend the winter. We’re now at 40 species and counting in our urban birding adventures in and around Ulaanbaatar. Beautiful image — great choice on depth of field — and interesting information. I’m wondering now if “dubius” is also the root for the similar English word; that would make sense. Thanks for this lovely post! Hi Cate. Thanks for the comment. “Dubius” raised the same question with us. It’s interesting how the roots of many of our words change over time. Personally, I always try to find the definition of the Latin for these scientific names; sometimes, as in the case, the words fit. Now, every time I look at one of these little guys, I’ll be thinking about the “dubius/dubious” manner in which they run back and forth!